Treat rainwater as a resource and not as waste, be environmentally responsible. 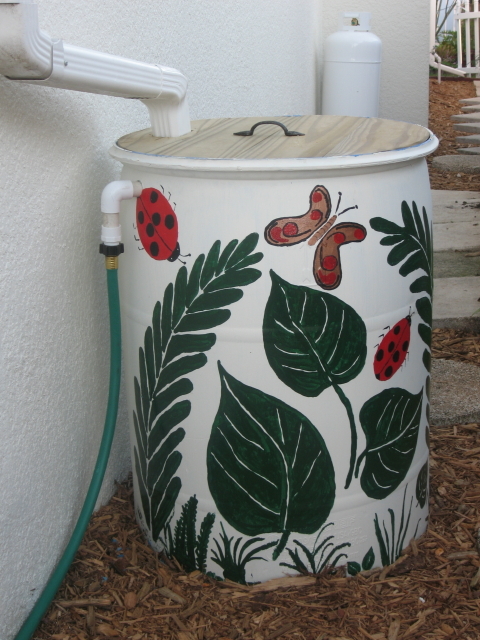 There are of course many different styles and ways to set up rainwater barrels. If you made the decision to set one or more up in your yard, the next step is to decide how you want them to work for you. If you have the room, you can connect two or more barrels in a row. 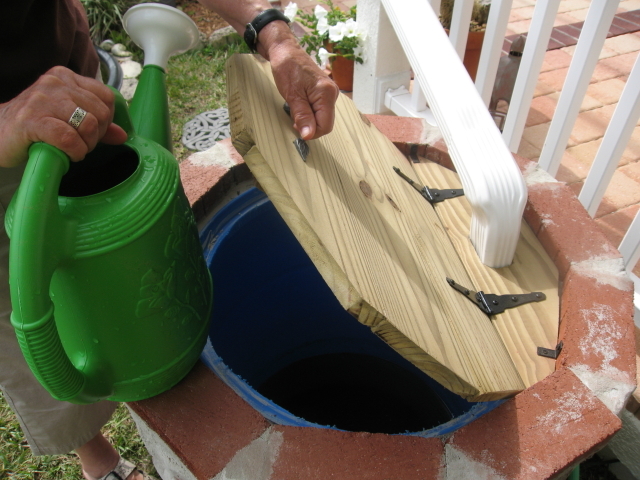 The barrels can be raised (on blocks or stands) and a spigot can be added towards the bottom so you just have to set the watering can underneath it for filling. 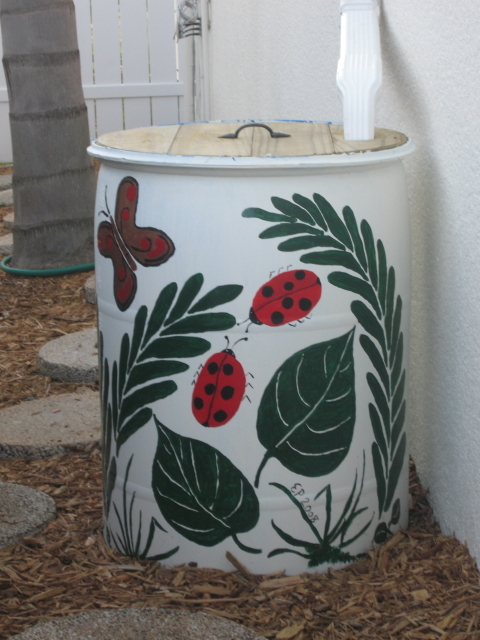 Rain barrels don't have to be ugly! 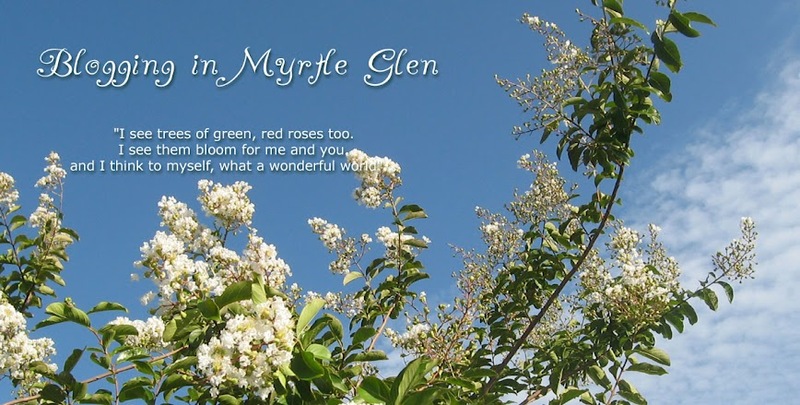 On this page you see two of the four in Myrtle Glen, we sure had fun changing them into garden art. We picked up the plastic drums at a local country feed store, cut out the top and cleaned it with soapy water. We sunk them into the ground just a bit for stability and cut the gutter down spout to fit. At the back and towards the top rim an overflow is added with a short hose leading to close by plants. Hubby made the wooden lid to fit in the top opening. I just need to lift and slide the lid over a bit to reach in with the watering can. The blue plastic drum was sunk into the ground about 1/3 of its height. At the back and towards the top rim the overflow pipe was added with a short garden hose leading to a close by flower bed. Next came the brick and mortar work. The lid is fixed to the brick at the back part and can be lifted thanks to the hinges. 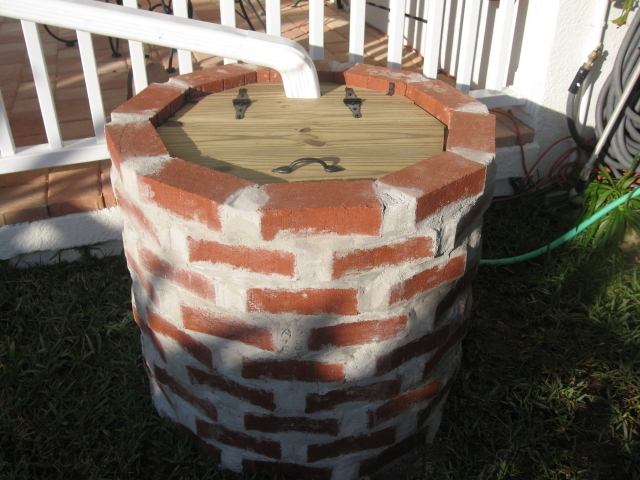 Young children are attracted to water, so make sure you child proof the lid so no little hands can open your barrels.